Cash Prizes as well as meetings with Hollywood VIP’s to be awarded. The purse includes a $1,000 First Prize plus introductions to writer/producers like Luke Schelhaas (THE GOOD WIFE, LAW AND ORDER) and Brian Bird (WHEN CALLS THE HEART, TOUCHED BY AN ANGEL). Finalist screenplays may be optioned by filmmakers to be produced for 2016’s 168 Film Festival. Write of Passage is a speed-writing competition, in which all writing will begin on Monday, October 12th with the assignment of a randomly selected foundational verse for all writers. Completed submissions may be up to 12 pages in length and are due on October 19. No writing is to occur before the scripture assignment. Winners will be announced in November on the www.168film.com website. To help launch aspiring filmmakers, the stories created in the Write of Passage competition are offered to young filmmakers to produce free of charge. Starting with a great story means that young film students can focus on storytelling, rather than writing. “Story is the hardest part. We’re excited to see some of these come to life at the hands of youthful artists,” said Ware. Write of Passage is a mentored competition, which uses “Development Executives” (DE’s) to coach writers and to judge the first round. “DE’s develop their sense of story and learn how to motivate and encourage creative people to achieve excellence,” said Ware. 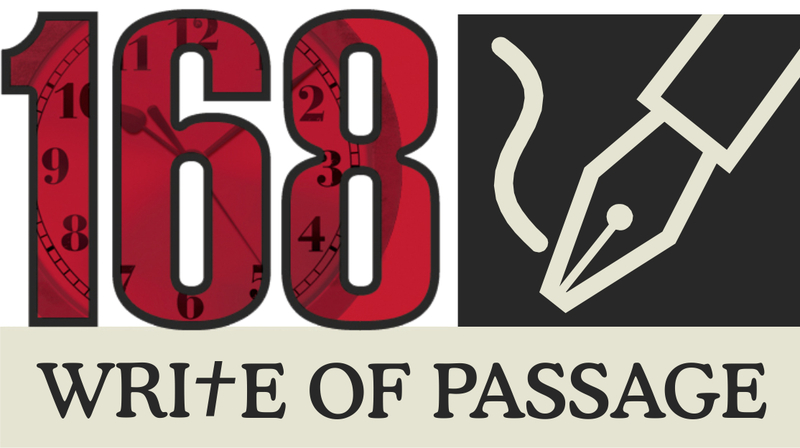 Interested potential DE’s should send resume and references to writeofpassage@168project.com. DE’s pay no fee, but they cannot enter the contest as a writer. Both writers and mentors receive screen credit if the story is made into film. Writer entry fees range between $30-45, based on the date of registration. Writers may register at https://www.168film.com/Store/ and obtain more information here (168film.com). Entrants may participate in both the Write of Passage and the 168 Film Project, the nation’s leading Christian film competition that has resulted in the production of over 900 faith-based, short films in 13 years.